What happened to Katie Cassidy’s face? – This seems to be the most popular question on celebrity gossip columns these days. 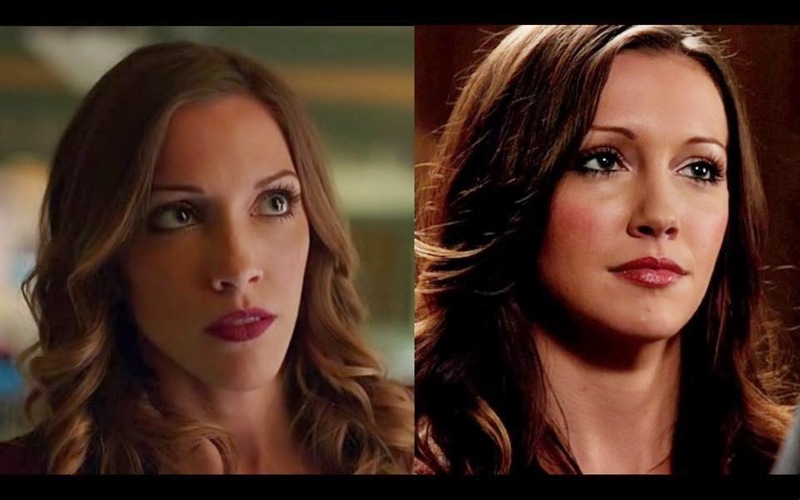 And don’t think they have left it at that – there are enough rumors being spread about Katie Cassidy plastic surgery, especially after she showed up with a longer face on Arrows Season 2. Katherine Evelyn Anita “Katie” Cassidy is an American actress who stars in the CW superhero television series Arrow. She has also appeared on Supernatural (as the demon Ruby), Melrose Place and Gossip Girls. She made her feature film debut with the box office hit, When a Stanger Calls and subsequently stared in Black Christmas, A Nightmare on Elm Street, Taken and Monte Carlo. The 27 year old was born to a celebrity family in Los Angeles – she is the daughter of actors David Cassidy and Sherry Williams; granddaughter of actors Jack Cassidy and Evelyn Ward; niece of TV producer Shaun Cassidy and actor Patrick Cassidy. Has Katie Cassidy had plastic surgery ? Katie Cassidy plastic surgery rumors reached its peak as her fans noticed a significant change in her looks on TV, which cannot be attributed to make-up. She is most popular for her performance in the series Arrow. While she looked perfectly pretty and normal in the first season; in the second season she returned with a long face, literally. This leads to suspicions about some work done on her chin. The majority thinks that it is a chin implant. Grafts are out of the question, when it comes to this level of change. Without any confirmation or comment from the Katie or her representatives, we can only speculate what has happened – much like everyone else on internet is doing. There has been some rumors about a minor nose job too. That we cannot support, because there aren’t any considerable signs to suggest a Rhinoplasty. But the chin implant might as well be true. The change is out there for everyone to see from the before and after pix. Take a look yourself and tell us what you think. She’s anorexic- she looks emaciated. Like a skeleton with skin stretched over it. Look at her face, neck, arms, and legs. Dark circles under eyes, etc. She was pretty an now she looks like a walking skeleton… why a pretty, young, successful person can do that to herself? She was so beautiful, on the new Melrose Place. Why the heck would she do this?? ?